Every child—with a learning disability or not—possesses their own unique learning style. Some can learn best with their eyes by seeing or reading, others with their ears by listening, and while others by doing. You can help a child with a learning disability by recognising his or her primary learning style. 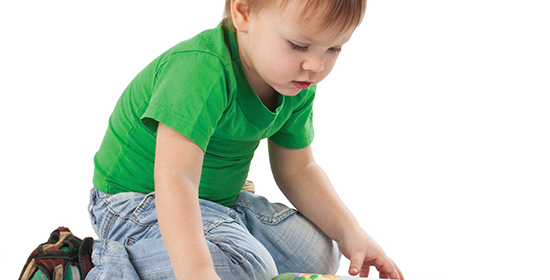 Is your child a visual, an auditory, or a kinesthetic learner? Once you’ve learned your child’s learning style, then you can take steps to ensure that the learning style is promoted in their classroom and during home study. The following will help you identify what type of a learner your child is. Is your child a visual learner? Has your child been diagnosed with a learning disability? Do you worry about how your child will be able to cope with school? While it’s important to want the best for your child and ensure that he or she have a happy and fulfilling life. Academic success needn’t always be the end goal.. With your encouragement and other people’s support, your child can establish a strong sense of self-confidence and a solid foundation for lifelong success. When it comes to learning disabilities in children, let us look at the big picture. All children need love, encouragement, and support, and for children with learning disabilities, positivity can help them to have a strong sense of self-worth, confidence, and the determination to improve despite the difficulties. What Causes Speech and Language Development Delay? It is essential to examine early speech and language development, as well as other developmental issues which are something we initially screen for in your initial visit to Pulse Therapy and Learning Center. It may be difficult to distinguish whether a child is just developing slowly in his or her ability to communicate, or has a problem that needs professional attention. Speech is the verbal articulation of language and includes enunciation, which is the manner in which sounds and words are formed.